2016 was a very turbulent year full of political and economic uncertainty. It seems as though this uncertainty, change and ambiguity will continue in 2017 and may create additional pressures and stress in our professional and personal lives. This is the time to do all we can to take care of ourselves and ensure our teams, work colleagues and family members are well supported in order to perform at their very best in all areas of life. If we are in good mental and physical health and are fully engaged in our work and personal life we can be identified as thriving. This is indicated in the well-being and engagement grid at the top of this page. The grid is inspired by the work of Grant & Spence (2010). Where do you think you fit in the grid? 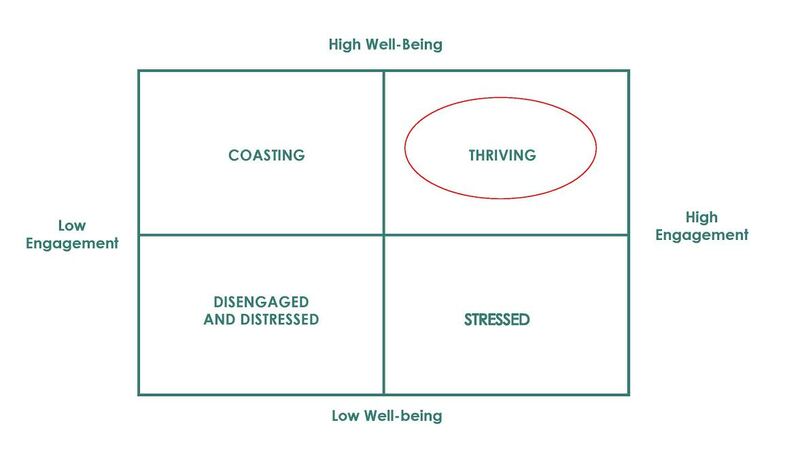 Are you thriving, just coasting along or feeling stressed or disengaged? Well-being incorporates many aspects of physical, emotional and psychological health, including being physically fit and healthy, sleeping well and having positive relations with others. We are all susceptible to physical and mental health challenges and in fact many people fall short of experiencing high well-being. They may be quietly struggling with behavioral health challenges, mental health symptoms such as stress and burnout or experiencing insomnia, relationship challenges or overwhelmed with caring responsibilities. Without intervention, the health challenges can become serious medical issues, possibly requiring time off work. Engagement can be described as a state of high energy, strong involvement and a real sense of commitment to the performance of work functions, hobbies, and interests. When we are engaged we go above and beyond and are willing to give discretionary effort. There are many factors influencing engagement including doing work that allows you to use your strengths and is in line with your values, a positive work environment, and having a career and development plan. 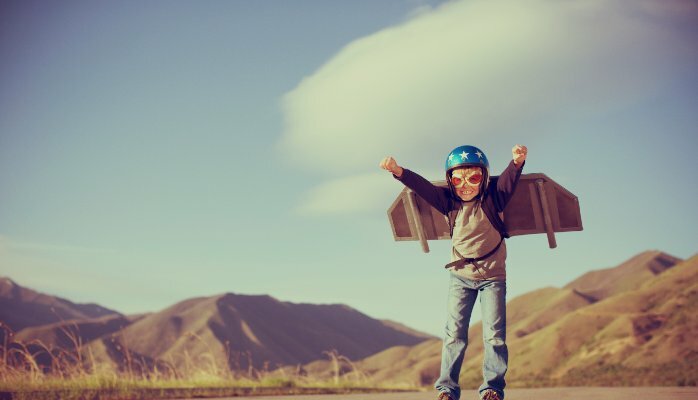 Gallup studies have shown that people who have the opportunity to focus on their strengths every day are six times as likely to be engaged in their jobs and more than three times as likely to report having an excellent quality of life in general. Gallup’s research also showed that working in your strengths zone improves your confidence, direction, hope and kindness towards others. When you’re not working in your strength zone you are likely to be disengaged, not look forward to going to work, achieve less on a daily basis and have fewer positive and creative moments. You may also have more negative than positive interactions with colleagues. Disengaged employees may coast along at work, just doing enough to get by or may become negative or cynical. 1. Do meaningful work: Do work or volunteer activities which provide meaning and motivation and are in line with your personal values. 2. Strength Management: Understand your strengths and incorporate them in your work. Focus on getting your team into their strength zones. 3. Career Planning: Ensure you have a realistic career and development plan. The ability to develop, grow and progress in a job provides challenge and motivation. If your career is no longer rewarding you may need to explore starting a new career chapter. 4. Work/Life Balance: In order to be happy, productive, healthy and have recovery time, we all need to have work/life balance. This will vary for each person. Ensure you take annual holiday time, are able to attend important family events and consider curtailing business emails at weekends except in cases of emergency. 5. Eat, Move, Sleep: Most importantly ensure you take care of your physical and mental health in order to live better and longer. When coaching clients to flourish and move into the thriving space, we help them carefully evaluate where they are on the well-being and engagement grid and then identify where they want to be. Together we develop personalised plans to get there, incorporating tried and tested tools into the coaching process. These tools may include Hogan Personality Assessment to identify values and interests and Clifton StrengthFinder to identify strengths, together with elements of positive psychology. We focus on creating motivation and commitment to move towards a healthier lifestyle or a more fulfilling career if that is what the client wants. Carol Pearson is a senior HR professional and an accredited Executive Coach at The Pearson Practice. She helps clients to increase effectiveness and improve well-being, working face to face or via Skype. 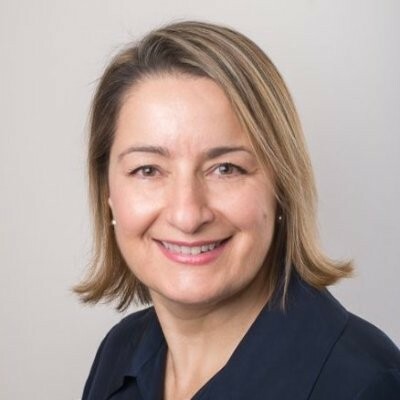 Carol has more than 25 years international experience in human resources and talent development with some of the world’s leading companies including IHG, Louis Vuitton and Ritz Carlton Hotels.